Toxins build up in the body faster than they can be removed, and that contributes to premature aging and chronic and degerative diseases. This article shows a few things you can get into the habbit of doing on a daily basis that will help reverse your disease and aging overall. Your immune system constitutes the organs and processes of the body that provide resistance to infections and toxins. Organs include the thymus, bone marrow, and lymph nodes. So it is very important to ensure that your immune system is functioning alright as a first step to start reversing your disease and aging. If your immune system is not functioning well, it may cause abnormal low activity or over activity of the immune system itself. Abnormal low activity decreases the body´s ability to fight invaders, causing vulnerability to infections. Abnormal over activity is where the body attacks and damages its own tissues. The truth of the matter is that most people wait years to find out that they are sick and once diagnosed, they are only left with a few options from their doctors. It is unfortunate that our model of care today is still outdated and treats our bodies as a machine with separate parts. They diagnose you with a disease and match you with a corresponding pharmacy drug. If you can´t be diagnosed, you are often labeled as depressed and given antidepressant. But in reality, the human body is much more complex than this - it is brilliant and there really are no magic pills. Previously the view was if your parents had a disease, you were pre-destined to have the health condition as well. In today´s view more attention is paid to how you live - what you eat, what you don´t eat, your sleeping habits, and exposure to toxins are what will eventually determine your gene. With that said, your autoimmune response can be reversed tremendously, naturally. The majority of your immune system reside in your intestine. It is important to get with your doctor to understand well your very own intestine permeability so that you can address it to regain your health as needed. L-Glutamine amino acid and herbal remedies can heal damaged gut lining. Bone broth vitamins and minerals boosts your overall immune health and digestion. Fermented foods such as kimchi, sauerkraut, kefir, and kombucha provide your gut with trillions of beneficial bacteria. Coconut oil has healthy saturated fats that are essential to your gut healing. Knowing your antibody levels associated with other relevant autoimmune disorders will give you insight to any secondary issues to deal with. Gluten is a protein, which is found in wheat, spelt, rye and barley, and it is linked to many autoimmune conditions. Each person is different so know your body in order to take care of it. Even gluten-free grains like corn and rice can flare up the immune system in some people. So if you are in control of your diet but still have some symptons it is important to see what kind of foods you should remove for your body type. Help yourself reverse your disease and aging by detoxifying your body by eating a variety of green leafy vegetables like kale and spinach and avoiding sugar and processed foods. Your brain will very much benefit from these foods. Table salt can aggravate and increase some autoimmune conditions. It is not unusual to get your very first autoimmune condition during very stressful life events. Regular practice of meditation or tai chi can help give you tools to better manage stress and balance your immune system. Follow a high-calcium diet, preferably through milk than supplements. It will help keep bones strong. Shield your face from sunlight when possible. Increased exposure to sunlight causes skin damage. Take Omega-3 DHA Supplement for Brain Health. Memory loss makes us less efficient and signals an aging braing so taking a supplement will not hurt. Keep working to stimulate your mind. The brain is at the center of the aging battle and needs to be stimulated to stay young and eventually reverse your disease and aging. Take more and more water instead of cofee and soda. These will make your skin dull and increase graying hair which without a doubt makes you look a decade older. Use creams with glycolic acid or retinol. These creams will rapidly improve the look and texture of your skin and will remove build up of dry skin, smoothing out fine lines, improving discoloration and also helping to trigger collage production. Cut back on red meat and processed foods. Saturated fats, whie flour, and sugars found in these foods will pack on the pounds and come out in your skin. The skin in your hands shows the aging process and makes you often look older than what you are so use good hand lotions to keep it intact. 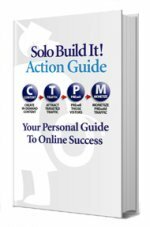 Without further ado, the above article just touches through the surface of what you can start doing today to really reverse your disease and aging big time. 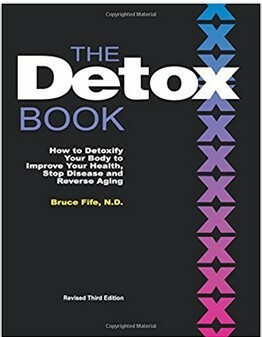 The Detox Book: How to Detoxify Your Body to Improve Your Health, Stop Disease and Reverse Aging is where the full inside information resides on how to do it. The handbook provides a handful of detoxification therapies, including healthy nutrition, fasting, juicing, oxygen and heat therapies, exercise, and kidney and liver cleansing that you will want to know and do to stay in control of your health to reverse your disease and aging.